There is a curious paradox at the heart of the dynamic of a football club which always seems likely to attract a certain type of undesirable to the game. 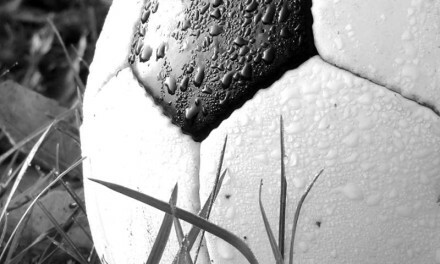 In terms of their financial position, most clubs live a hand to mouth existence, but many sit on one asset which has considerable value – their home ground. Because football in Britain developed in tandem with the industrial revolution, most football grounds used to be well-positioned. In an age before the widespread ownership of cars, they were often situated near to town centres and, in particular, railway stations, and this means that as real estate prices have increased over the years clubs that were fortunate (or, some may posit, unfortunate) enough to have their name on the deeds to their properties have frequently found themselves becoming an object desire for people that might have an interest in buying the clubs on a cheap, running them into the ground to the point of bankruptcy and then sell the ground – or, perhaps more relevantly, the land upon which it stands – and make a tidy profit. High profile examples of this in recent years have come at the likes of Brighton and Wrexham, but a little further back in the history books lays the story of an institution of Scottish football, one of the founder members of the Scottish Football League, which was brought to its knees and eventually killed off, allegedly by an owner who never lived to see his plans come to fruition although this viewpoint has come to be challenged in recent years. Third Lanark Athletic Club was formed in 1872, the year of the first FA Cup final and the year of formation of another Scottish giant, Rangers. The football team of the Third Lanarkshire Rifle Volunteers, a part of the Volunteer Force, they competed in the first ever Scottish Cup two years later and were one of the eleven founder members of the Scottish Football League in 1890, alongside Rangers, Celtic and Heart of Midlothian. They earned the distinctive nickname of “The Hi-His” as, according to legend, the result of a defender at the club clearing the ball so high from their ground that the cry of, “High! High! High!” became one of encouragement for the team, and won the Scottish Cup in 1889 and 1905. The club was based in South Glasgow. Queens Park, arguably the founding fathers of Scottish football, had owned a ground called Hampden Park since their formation, but in 1904 they moved to a new site a short distance away and gave that the site the same name. Third Lanark bought their old site from them and – since they had already played at a ground with the same name – renamed it New Cathkin Park. This vast, bowl-shaped stadium held 50,000 people and, alongside Celtic Park, Hampden Park and Ibrox, gave Glasgow four of the biggest sports grounds in the world. The won further silverware in the late 1920s and the early 1930s, and they won the Scottish League Second Division championship in 1931 and 1935, whilst they also finished as runners-up in the division 1928. The club continued to play in the Scottish Football League and had further success, finishing as runners-up to Hearts in the 1960 Scottish League Cup and in same the season finishing in third place in the Scottish League, scoring over one hundred goals in the process. That the club should have died within seven years of one of its finest seasons is now commonly ascribed to the involvement in the club of one man: Bill Hiddelston. Hiddelston – or Hiddleston: even the spelling of his surname is somewhat disputed – first arrived on the board of directors at Cathkin Park in December of 1954, but spell at the club was not long-lived. He returned to Cathkin Park in 1962, however, and his arrival back at the club was enough to inspire the near-immediate resignation of manager George Young and all of his backroom staff, and this was quickly followed by the hasty sale of Dave Hilley, Alex Harley and Matt Gray for a combined fee of £78,000 Newcastle United and Manchester City respectively came to become the norm for The Hi-His from now on. Having finished in third from bottom place in the First Division in 1964, they were relegated the following season with just seven points from thirty-four matches and, whilst the team would perform reasonably in the Second Division of the league – managing two mid-table finishes in its last two seasons, off the field problems would mount to such an extent that the club would eventually buckle and collapse under the weight. It seemed clear that Mr Hiddleston for whatever reason had made his mind up to secure control of the company and in this he eventually succeeded. The general picture to emerge then is that the Club came to be run by him with the tragic acquiescence of other Directors, as an inefficient, unscrupulous one man business, with no regard for the provision of the Company Act, the articles of Association of the Company or in the interest of shareholders… clearly excluded from any of this involvement were all the persons who had ceased to hold office on or before 20th May 1965. The Board of Trade found that players were paid late and often in coins rather than notes, they had to make their own way to away matches, hot water was not available after matches and that each managerial appointment was made personally by Hiddelston alone. It was suggested that Hiddelston wanted to run the club into the ground on purpose so that he could sell the land upon which Cathkin Park stood for housing, or that he wished to relocate the club to one of the New Towns that now sat on the periphery of Glasgow, such as Cumbernauld or East Kilbride. This, however, has never been definitively proved and Glasgow City Council would later reject an application to put houses on the land, but if the Board of Trades report did have one significant effect, it was to knock the final nails into the coffin of Third Lanark AC. The club played its final league match on the twenty-eighth of April 1967, losing by five goals to one at Boghead Park against Dumbarton. The Royal Bank of Scotland, who held a charge over Cathkin Park, forced the sale of the ground to pay off a £10,000 overdraft. On the first of July 1968, four former directors of Third Lanark were found guilty of contravening the Companies Act 1948 and fined £100 each. The investigation by the Board of Trade had accused club chairman, Bill Hiddleston, of blatant corruption and that “the circumstances [merited a] police inquiry”, but Bill Hiddelston died suddenly in Blackpool in November of the same year. There is, however, an alternate theory that has been put forward regarding the death of Third Lanark and paints the chairman in a somewhat less harsh light. It has been suggested that decline of the Glasgow Cup – a tournament which had all-but guaranteed a lucrative match against Celtic or Rangers but fell into disrepair after the introduction of European football in the mid-1950s – accelerated the clubs financial position and the question has also been asked of why, if Hiddelston was only interested in running the club out of business and selling Cathkin Park, he oversaw the construction of a new stand there in 1963, the building of which was another extra burden on the already stretched finances of the club. Hiddelston was an SFA councillor for a considerable amount of time and had been involved with Third Lanark before in the 1950s so, it could be argued, he didn’t exactly fit the bill of the asset-stripping property developer that we have since come to know and despise. What is inarguable, however, is that the club was disastrously run throughout its final years and there were clearly serious irregularities at the club in the run-up to its closure. It remains, however, a faint possibility that Hiddelston wasn’t quite as guilty as many of the history books have painted him. As is customary with so many of these stories, however, Third Lanark didn’t quite die in July 1967. With planning permission for housing having been refused, the site of Cathkin Park sat derelict until 1977, when the Glasgow City parks department paid £350,000 to convert the site into an open-access park. The Third Lanark name was almost revived in 1974, when the Edinburgh-based works side Ferranti Thistles application to join the Scottish Football League was accepted on condition that the club changed its name, but the club eventually settled on Meadowbank Thistle instead. An amateur side under the same name now plays there in the Greater Glasgow Amateur League with hopes of reviving the name further, and it is Cathkin Park itself that is perhaps the best-known aspect of the clubs legacy. With sections of the terracing – with crush barriers – still in place, it makes for one of the most haunting visits that any football supporter can make. The spirit of Third Lanark AC lives on, in more sense than one. 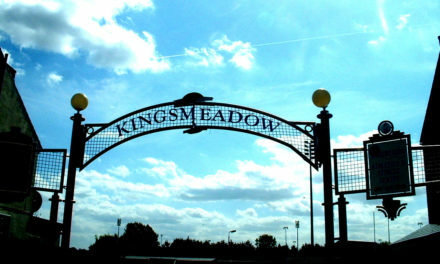 Kingstonian: A Day In The Death Of A Football Club?